Well-deserved, Robert! 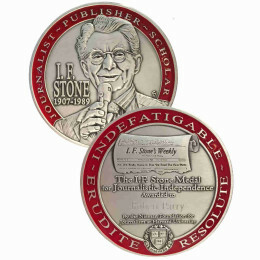 I am of the age that I remember the fabulous written power of IF Stone, and especially his independent voice. What an honor for you to receive this. Stone was a great voice of objectivity, and was fearless. You have carried that banner very well. Keep up the truth telling ! It is my privilege and pleasure to be a supporter of this excellent website. Congratulations Mr. Parry. You deserve all the accolades for your journalistic integrity. You are one of the few American reporters that has got it right on the neocons (zion-cons) devastating role in US Foreign Policy and is not afraid to say so. I never think Americans are ignorant, I think they are uninformed. I believe if they know the truth, they will not support the governments actions. Keep up your noble service to the American people. I am indeed grateful for your journalistic work, deep norms, values, perspectives, and goals. In a time when the U.S. Empire and the world system are falling into pieces, and peoples in the world suffer from the global financial capital, media industry, the nomenklatura, and not the least the military-industrial-complex, your and Consortium News work is more needed than ever. I am delighted to hear of this very well deserved award. Truly your work and website have been remarkable and valuable, and the writers also much deserve the recognition. I have also enjoyed your books, and check the website daily. Congrats Mr. Parry, you certainly deserved it! I can no longer read the NY Times, the Guardian or any other major newsrag for news: they have all become corrupt neoliberal mouthpieces of the 1%. It is only sites like this one that one can turn to for a glimpse into what is actually happening in these most trying of times. Nazdravi Pan Parry! Congratulations, Mr. Perry! Yours is the site I turn to when I want to find out what’s REALLY going on. Well deserved. You are one the main writers that have opened my eyes to what it really going on behind the scenes. 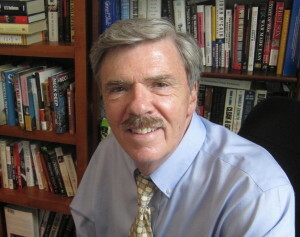 A well deserved award, Bob, in recognition of decades of original and insightful investigative reporting and analysis. Often a lone voice in the wilderness, your work has held up to the test of time again and again, giving readers crucial information not found anywhere else. Keep it up, old friend. We are sending another donation to ConsortiumNews.Com in honor of your award. “Journalism is printing what someone else does not want printed. Congratulations sir, and many thanks for your brilliant journalistic work. Congratulations, and big thanks for all the effort you put into exposing the lies, propaganda, distractions, distortions, and disinformation peddled by Western governments using a compliant and willing mainstream media. I am reminded of a quote the Public Editor mentioned in The New York Times recently regarding the backlash of the NYT using hacked emails to challenge Sony on whether or not they toned down their documentary “Concussion” to placate the NFL. 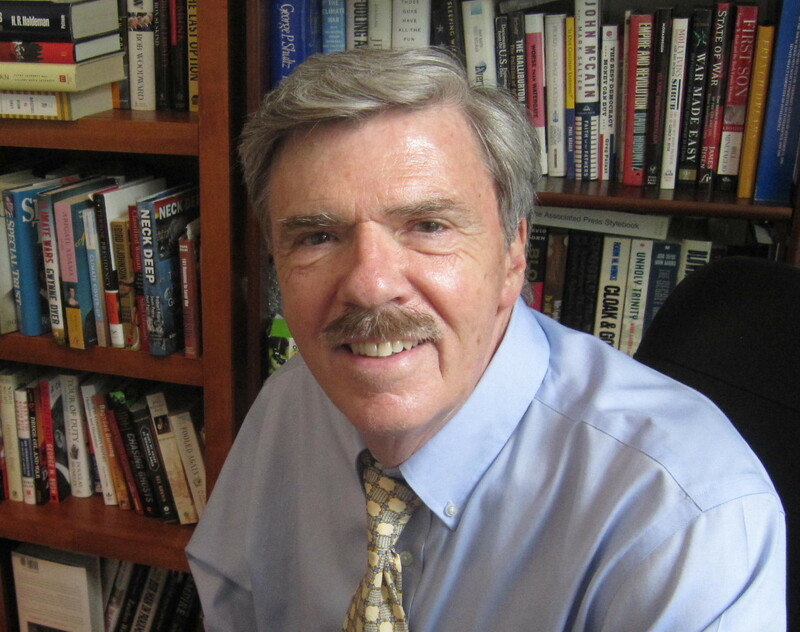 Robert Parry has been very brave and thorough in the “news” he has brought the readers of Consortium News and I congratulate him!!! 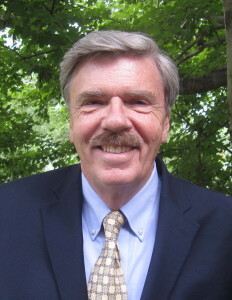 Congratulations, thanks, and all the best to you Robert Parry and all at Consortium. Congratulations. Keep doing the independent thinking thing. No, this honor is for you, Bob. Sure, the people who write for the website have done some good work, and hurray for those who contribute! But they did not go into the Central American war zone and face down the psychopaths committing such cruel and wanton murder there. 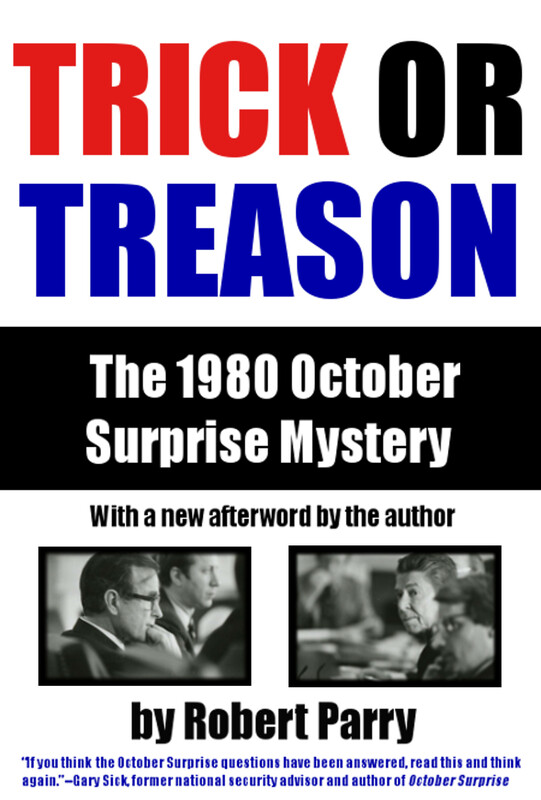 They didn’t suffer the injustice of the Reagan thugs misusing their power to silence one of the few people in the press willing to speak out. This honor is for you, with the gratitude of those among the American people who have a clue as to what’s being done in our names. Congratulations! Thank you very much for you courage, information, insight and vision. May you have continued success and much increased impact on the public and on the powers-that-be to make changes for the better. It’s incredible how much the truth is suppressed and manipulated in the mainstream press. And damned well earned too! !